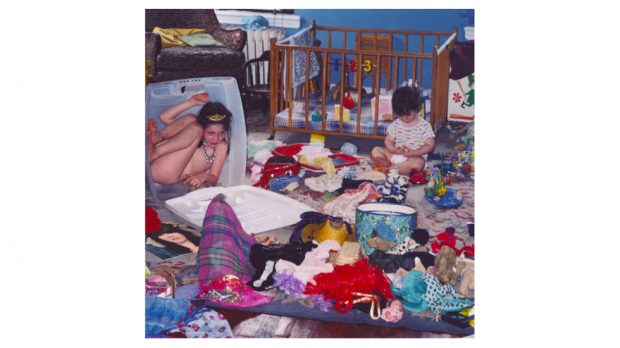 Sharon Van Etten returns after a four-year hiatus from the long-player. Unfortunately, she’s come back with a few good singles and little else. Positives first. Van Etten’s voice is still as smokey and beautiful as ever. Her register is lower – it was affected after she had her first child last year by C-section – but despite this her vocals retains their power, and her double-tracked harmonies are still beautiful. And the singles from this album are quite rocking too. Comeback Kid is powerful and its refrain a real hookworm. Seventeen is a bombastic piece of throwback piano rock, Van Etten channelling Springsteen and coming off sounding like Stevie Nicks. It’s infinitely hummable and great fun. You Shadow is the other highlight. The lyrics – apparently aimed directly at a tryhard hipster doofus copycat – are firey, and the melody is both catchy and unique. Maybe it’s a coincidence that the only good tracks are the (relatively) uptempo and bouncy ones. And maybe this is a formula Van Etten should stick to in the future, because the rest of this album cures insomnia. The remaining songs feel glacially slow and meandering, with no engaging melodies in sight. The only other track with a memorable hook is Jupiter 4, but this overwrought ballad had me rolling my eyes instead of nodding my head. Opener I Told You Everything is indicative of the whole album. It builds towards a climax that never comes, and the journey there isn’t particularly interesting either. The instrumental – spare keys and programmed drums – is boring, and the melody barely there. Memorial Day is identical – a slow build on the back of generic electronic noises, a barely-there vocal melody, and lots of pretty but inconsequential ‘oohs’ and ‘aahs’ (this jumble of vocals is apparently the chorus). No One’s Easy to Love is a song so lurching and detached that it has the same effect on the listener. And then Van Etten manages to one-up herself with Malibu – take all the above descriptors and multiply two-fold. This is a song so basic and one-note that anyone could have written it. Closers Stay and Hands don’t offend but they make no impression. It’s hard to pinpoint why this album is so beige, but surely the production is partly to blame. Behind the board is John Congleton, also behind artists such as St Vincent and The Decemberists. He’s made this a synth album, lending a generic electronic sheen and ensuring everything sounds chunky and compressed. With an artist like St Vincent, the sheer spasticity of the music worked to the favour of such production – the sounds didn’t need that much texture when they were coming at you at a hundred miles an hour. But with an artist like Van Etten who has slowed proceedings to a crawl, everything sounds whitewashed. It doesn’t help that there isn’t a single notable riff or musical motif on the album either, with Van Etten’s voice carrying every track. A shame then that Van Etten has lent her God-given angel voice to such a slow and bland set of tracks. Pick out the singles and ditch the rest. The deep cuts can serve out the rest of their days as coffee shop background music.